What is a municipal court? A sentence to pay monetary forfeitures to the City is the primary sentence imposed on a guilty defendant. In addition, a municipal judge may require a defendant's participation in one of several community service or educational programs. If a defendant does not pay the forfeiture, a judge may suspend the defendant's driving privileges or put him or her in jail. All actions of the municipal court are appealable. Both the defendant and the City Attorney have the right to appeal the decision of the judge. Appeals are heard at the Circuit Court. What makes the Milwaukee Municipal Court unique? The Milwaukee Municipal Court, established in 1974, is one of only two full-time municipal courts in the state of Wisconsin. In addition, the Milwaukee Municipal Court handles the highest volume of cases of any municipal court in the state. In each of our three branches, up to 60,000 cases are filed and adjudicated per year. In terms of quality of service, the court undertakes innovative steps to make itself understandable to the general public, to reach out to defendants who fear courts, and to vigorously enforce its judgments. It uses interpersonal help and technological systems to guide nervous newcomers through the legal process. To maintain this level of performance, the Milwaukee Municipal Court has a strategic plan for its mission. 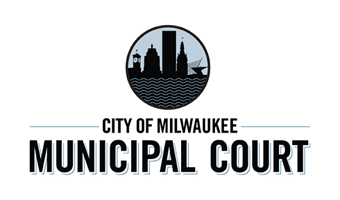 "The mission of the Milwaukee Municipal Court is to impartially adjudicate ordinance violation cases such that legal rights of individuals are safeguarded and public interest in protected." In order to achieve this mission, the Municipal Court has set forth a number of strategic objectives, and annually develops an action plan. The action plan focuses the court's actions toward achieving these objectives. Process cases according to announced time standards and comply with schedules. Pay individual attention to each case. Location, hours, and physical setup. Openness, predictability, and clarity of court proceedings and procedures. Effective enforcement of court judgments. The court will take responsibility for the enforcement of its own judgments. Use funds for purposes within its mission and authority. Spend only within approved, allocated funds, and account for funds collected and spent. Inform the public about what the court does, its programs, and the issues it faces. Enhanced public safety. To accomplish this objective, the court will use its sentencing powers to create conditions that will make defendants less likely to become repeat offenders. How is the Milwaukee Municipal Court organized? There are three branches of the Milwaukee Municipal Court. Each of the three judges is elected to preside over a specific branch. All branches hear the same types of cases with hearing schedules that rotate from week to week. The Municipal Court's three branches hear cases from 8:00 a.m. to 4:45 p.m. on Mondays through Thursdays, and from 8:00 a.m. to 4:15 p.m. on Fridays. The Presiding Judge, currently Derek C. Mosley, is responsible for establishing judicial policy and guidelines. He does this in consultation with the two other municipal judges, Valarie A. Hill and Phillip M. Chavez, and the Chief Court Administrator, Sheldyn M. Himle. The Chief Court Administrator reports to the Presiding Judge. A dedicated staff of about 30 employees assists the judges in their duty of administering justice at the municipal level. The Chief Court Administrator manages the staff, makes sure that the court has adequate resources, and that court resources are used in accordance with court mission and strategic objectives. What happens to the money paid as fines? Revenues generated from the collection of fines are not directly used for the Municipal Court. Instead, this money is placed into the general fund of the city, with the exception of some funds that are specifically assessed by the state. The general fund is then disbursed by the mayor and the common council to city departments and agencies through the annual budget process. In addition to determining the guilt or innocence of a defendant, and to imposing fines on the guilty ones, the Municipal Court judges are also interested in encouraging lawful behavior and discouraging repeat violations by the same defendants. What does the court do to prevent repeat violations? Judges regularly refer defendants to supervised community service at various non-profit agencies and to various educational programs. Educational programs include those aimed at improving driving behavior, increasing awareness of the consequences of unlawful behavior, and preventing offenses such as shoplifting and assaultive behavior.